The Night Instagram Launched, It Crashed, But Didn't Burn Kevin Systrom and Mike Krieger launched their photo-sharing app with a server that crashed every other hour. Despite a chaotic start, Instagram became one of the most popular apps in the world. MIKE KRIEGER: There was nothing more exhilarating than seeing all those people stream in and nothing more crushing than then seeing, you know, people posting on Twitter or on their blogs and saying, like, oh, another startup that doesn't know how to scale, like, oh, like, so clowny (ph). We were both, I mean, at that point, like, running on zero sleep for two days, just devastated. And I was like, this is it. We built this great thing, and we totally messed it up. From NPR, it's HOW I BUILT THIS, a show about innovators, entrepreneurs, idealists and the stories behind the movements they built. RAZ: On today's show - how a walk along the beach sparked an idea that turned all of us into good photographers and made Instagram one of the fastest-growing apps of all time. RAZ: OK, it's 2009 and Kevin Systrom is just a few years out of Stanford and doing the Silicon Valley thing. He's working at a travel startup by day and teaching himself to code at night. And a friend from college, Mike Krieger, is also in the area, pretty much doing the same thing. And after a few months of experimenting, Kevin builds an app. He calls it Burbn, and it's a check-in app where you can tell your friends you're at a coffee shop or a bar or wherever. And Kevin thinks this app has, you know, some potential. KEVIN SYSTROM: I mean, at that time, there were so many check-in apps. There was foursquare. There was Gowalla. And there were a bunch of others trying to make it. And, of course, following, you know, kind of the trend, I was like, there's something here about the devices in everyone's pockets being available to share new types of information. And I was like, location is the type of information people are going to want to share. I think the insight Mike and I had along the way was that, actually, there were more types of information. The fact that, like, these devices had a camera, that would lead to our visual communication revolution, where, like, all of a sudden, people weren't just communicating with text and voice, but they had the chance to communicate with an image. But initially, our bet was on location. And I'm frankly just very happy that we discovered the image along the way. RAZ: So people were using this app? SYSTROM: Yeah. And, you know, it was just compelling enough to get, like, a handful of beta users, but I would, you know, basically come home at night and just tinker with this idea. And, you know, along the way, I prototyped it enough that I was willing to give it to a handful of friends. And those friends gave it to a handful of friends. And before you knew it, we had - I don't know - maybe 80, 90 people using it. And only at that moment did I decide that, like, hey, maybe this thing could be a company if we actually tried. RAZ: Then, like, at what point did you say, we - we should try to, like, raise some money for this? SYSTROM: I went to a bar where a bunch of investors were getting together. And, like, I kind of mingled around the room, and, you know, people were kind of showing their prototypes on their phones to different investors. And I showed it to this one investor. His name's Steve Anderson. He was one of our first investors. And he was like, this pretty cool. Let's set up coffee. You know, we can meet up, and you can tell me more about the app. And that was, like, the biggest accomplishment to date. I was like, oh, my god, there's an investor who's willing to talk to us. SYSTROM: So I went, and I had that coffee, and I sat down. And as - as we were talking, actually, I had an alert that would alert on my phone every time someone signed up because I was really excited when we went from 80 users to 85 users to 90 users. And as I'm sitting there with him, like, a bunch of people are signing up. And I wasn't entirely sure why, but he looked at me and was like, did you plan this - like, that you would have a bunch of people sign up while you were demoing to me? And I said, no, I, like, honestly don't know who these people are. And he looks at me. He's like, all right, count me in. But he actually said one thing to me. He goes, before I do this, you have to find a co-founder that's willing to do this with you. And at that moment I was like, all right, got to find someone awesome to kind of partner with and make this all happen. RAZ: So, Mike, how did you guys - like, I mean, how did this happen? Like, you came to Kevin, you were like, I like this thing; it's cool. I want to work with you. I mean did you - was it more formal than that? KRIEGER: I think where it came from was we had a kind of shared kindred spirit of tinkering. So on the weekends, a lot of times I would be at Coffee Bar, which is this great coffee shop here in San Francisco, and I'd be working on iPhone apps just for fun. And Burbn - the check-in in itself I didn't find as compelling, but having a sort of visual status was really compelling. So I got excited enough that I think I - yeah, I came up to Kevin. I was like, look, if you ever do this for real, like, let's have a conversation. And I think that first meeting we had about it, actually, I was like, count me interested. Like, I'm - I'm excited enough to do it. And you know how, like, the cliche of your life flashing before your eyes? Like, my future flashed before my eyes for talking to Kevin right then. I just imagined myself working one-on-one with him on something that I was really excited about in San Francisco and just trying to make something of it. And I was like - there was something in me that just stirred at that thought. RAZ: So just going back for a sec, when you met that investor, he just - he was just like, here's a bunch of money? RAZ: Because nobody wants to miss the - miss the bus, right? RAZ: So how did you guys pivot? I mean, what - what - how did you turn Burbn into what became Instagram? What was - what was the genesis of that? SYSTROM: I think the best thing for any entrepreneur is failure. And for us, it was the lack of momentum. We - I mentioned we got to - we got to about 100 users using this app. RAZ: A hundred, not 100,000 - a hundred. SYSTROM: No, no, no, no, a hundred. Like, you can fit them in a room. And Eric Ries is this guy in Silicon Valley who likes to, you know, talk about the lean startup method. And one of his - one of his lines is, like, don't ask why people don't use your startup. Ask why the people who continue to use your startup keep using it. And when we looked at our user base, our whole hundred people, each of them loved the photo aspect. So that's why we ended up focusing on photos. RAZ: But there were already a bunch of photo websites and even photo apps, so how were you able to come up with an idea that - that would make your thing different? SYSTROM: So we were both kind of burned out. We had decided that Burbn wasn't going to do anything. We had, you know, $495,000 left in the bank because $5,000 to buy a couple of computers, right? And - and we were like, all right, it's OK. If this idea doesn't work out, we can really string this half a million dollars out for a long time, so we're going to come up with a new idea. So we started focusing on photos, and we were both burned out. I was like, all right, Mike, I got to take - I got to take a break. So my now wife and I, Nicole, went to Mexico. And we were working on this idea of photos, so Mike was like, all right, I'm going to prototype this thing while you're on break. You come back, and then we'll, like, reconvene. So Mike started prototyping this app. And as I'm away, I'm walking down the beach with Nicole in Mexico. We were in this little surfing town called Todos Santos. And I'm like, you know, Nicole, I think we're going to focus on photos. And she goes, oh, yeah. That sounds like a great idea. I love all the photo posts on Burbn. But she goes, I don't think I'm going to post that much. And I go, well, why not? And she goes, well, my photos aren't that good. And I said, well, they're great. And she goes, well, they're not as good as your friend Greg. And I was like, well, Greg uses a bunch of filter apps to, like, make them look nice. And she goes, oh, you should probably add filters. And I was like, ah, that's it. Like, we - we just need to be able to make people feel like their photos are worthy of sharing. And I remember going back right from the beach. I sat in the room with the little dial-up connection that the little hacienda had. And I - I literally just, like, researched how to make the first filter, which ended up being called X-Pro II. And if you scroll all the way back on my account to the very first photo, there's Nichole's foot and a little stray dog in Mexico. And that's because, that day, I made X-Pro II, and I went out to a taco stand for lunch to test it. And I took that picture and posted it on the prototype that Mike had given me. So that was kind of the intersection of the ideas of photos and filters. And it all came through consumer insights. It was just like, what problem are we solving? Share something that people love, and make sure that they feel great sharing it. RAZ: So how long did it take from the time you decided to move away from Burbn and then launch Instagram? RAZ: Like, how fast were people joining it? SYSTROM: The first 24 hours, we had 25,000 people sign up around the world, which sounded big to us at the time. RAZ: Yeah, that's incredible. Were - were you expecting that? SYSTROM: No. I mean, a couple of things that showed how naive we were at the time - number one, midnight in San Francisco, it's 9 a.m. somewhere. And we didn't quite realize how global our business could be. So it turns out everyone who was signing up at the beginning actually lived overseas. So when we looked into the database and we were like, who are these people, they all had, you know, email addresses from Germany and Hong Kong and various places around the world. And before you knew it, we actually had overloaded our system, and it was a very small, naive system. It was a single computer in a co-location space somewhere in LA. RAZ: Everything was on one computer? KRIEGER: Yeah, it was. There was nothing more exhilarating than seeing all those people stream in and nothing more crushing than then seeing, you know, people posting on Twitter or on their blogs and saying, like, oh, another startup that doesn't know how to scale. Like, oh, like, so clowny. We were both, I mean, at that point, like, running on zero sleep for two days, just devastated. And I was like, this is it. We built this great thing, and we totally messed it up. SYSTROM: And to be clear, there's no reason we should have succeeded. Like, I mean, the server was just - like, it was down every other hour. And, like, people just kind of forgave us. And they would come back, and they would share their photos. And at the time, mobile networks weren't that great either, so people would actually blame their connection and not us, which was great. But those initial weeks, I mean, it was just, like, trial by fire. And we had to learn everything on the job, and we had so many chances to fail, but we just kept at it and kept working and pulled a bunch of all-nighters. And the amount we learned in that first year, it was crazy. It was, like, five years of college all in one. And, yeah, it was pretty exciting and tiring. RAZ: How did people even find out about Instagram? Like, how did they know that they should download this - this app? KRIEGER: So we had this intuition that, if you're going to throw a party, which is kind of what an app launch really is, as people are streaming to the door, you want them to sort of know how they should act and who else is there. So one of the things we did was we have - you have a hundred sort of invites that you can have before you launch your app to the Apple Store where you can invite people try it out. And we're like, how are we going to use these hundred people? And we used a combination of some journalists that we'd gotten to know over, you know, the last couple of years in San Francisco and the Valley. We also went on this site called dribble.com, which is sort of, like, a place where designers go and show off their best work. And we figured photographers might not instantly take to Instagram because, like, they want, like, super-high resolution or they have other constraints. But designers love photography, but it's not their main sort of job. So we picked basically the 10 top designers on Dribble, and we emailed them. And some ignored us, which is fine, and some wrote back and said, sure, I'll try your app. And it was great 'cause, coming in day one, people who - who would explore things - we had a popular page at the time that showed the most popular photos across the whole community - would be like, wow, you can take that on a phone? Like, we take this for granted a little bit now. You know, cameras have improved every year. But I think part of what we showed to people back in 2010 was that there was something really amazing you could do with just the phone in your pocket. RAZ: When we come back, how President Obama, Snoop Dogg and about 500 million other people started to use Instagram and what happened after Facebook bought it for a billion dollars. I'm Guy Raz. You're listening to HOW I BUILT THIS from NPR. RAZ: Hey, everyone, just a quick thanks to two of our sponsors who helped make this podcast possible. First, to Hyatt. Hyatt believes the modern business traveler is changing the face of business. Today's business travelers don't settle. They're refusing mediocrity. They're reinventing their careers, bending titles and breaking new ground. And because they've changed, business travel is changing, too. And that's why there's a place and a house where good enough isn't - Hyatt Place and Hyatt House hotels. You've come too far to settle now, so book your state today at hyatt.com/whysettle. Thanks also to Blue Apron. Blue Apron partners with sustainable farms, fisheries and ranchers to bring you all the ingredients you need to create incredible home-cooked meals. Ingredients come paired with an easy-to-follow recipe card delivered right to your door weekly in a refrigerated box. Rediscover how fun cooking can be while enjoying specialty ingredients and exploring new flavors and cuisine. Get your first three Blue Apron meals for free, plus free shipping, by visiting blueapron.com/built. RAZ: And just one more thing before we get back to the show - if you happen to be in the middle of building something right now, please just take a minute and tell us about it. You can write to us at hibt@npr.org and tell us if you're building a brand-new idea or a company or a movement from the ground up. Tell us how you got the idea and how things are going so far. Again, that email address is hibt@npr.org. RAZ: It's HOW I BUILT THIS from NPR. I'm Guy Raz. So it's about a year after Instagram's launch, and it's grown to 10 million users at this point. And Mike Krieger and Kevin Systrom are expanding their staff very, very quickly. And at this point, did you guys have, like, investors banging on your door? SYSTROM: Yeah, we actually had investors showing up at our office. We'd be, like, trying to keep the servers up, and someone would, like, tap on our shoulder. And they'd be like, hi, I'm so and so from so and so investment partners, and I'd like to take you out for lunch. And we're like, we're trying to keep the site up, please. But we met, you know, a bunch of people along the way. And the ones we did make time for were the ones who were most respectful of that time and knew what we were going through and could help. RAZ: So very shortly after you launched this thing, it's - like, it's valued at, like, more than $20 million or something, right? SYSTROM: Yeah, yeah. It was - I think our first round was, like, I don't remember. It was, like, we took $8 million dollars of financing on, like, a 20 pre, so, like, roughly a $30 million dollar valuation or something. And I mean, again, at that stage in life, it's like, wow, I've never heard of a company that's worth this much. I mean, this is crazy. I didn't really think much of it. I just wanted to get back to work, and I think Mike felt the same way. We were just, like, so focused on building what we were building. It just - like, it kept growing. And the question was - again, Mike and I, every single day, were thinking, how - what scale can this get to? And I think it really started to hit us when we would be out and see people using it in the real world. It was kind of surreal over time. RAZ: I mean - I mean, the - sort of, like, from the outside, this story just seems like a - just a clear, linear, like, jumping from success to success, like it was super-easy. You put it up there, and then you raise all this money, and then the valuation's just in the stratosphere. But were there moments in the beginning, even - even after that initial 24-hour period and beyond, where you thought this could fail - this could easily just fail? KRIEGER: I mean, all the time. I (laughter) - like, three weeks in, Kevin turned to me, and he said, Mike, I don't know how big this is going to be, but I think we're on to something. And I was like, oh, we'll see. And every morning I would wake up expecting that that was the morning that growth would stall and that was it. And if I knew what I know now about metrics and how to measure whether people are coming back over a one-day, seven-day, 30-day period, I would actually have been, I think, a lot calmer because I think it would have shown, as it shows now, that people who join Instagram tend to stick around and become more active. And that's really exciting. But at the time, I didn't know that. I was like, ah, they're signing up. Are they going to come back tomorrow? Like, is it all going to change? And that was sort of an internal worry. And then, externally, you know, as we launched and grew, it became a very competitive space. And we would see, you know, companies get announced that had tens of millions of dollars in investments even before launching. And we're like, man, like, these guys have so much money. They're going to come in and, you know, attack us, and it's going to be really hard. And that's the other lesson learned, which is, you know, your valuation and the amount you raise, it can helpful in building your product, but it does absolutely nothing. People - end users don't care at all how much money you've raised. They care if you're providing some kind of value in the product. And again, lesson learned overtime - that, you know, you have to earn it every day from people. RAZ: I'm curious to sort of get your take on why it continued to grow. I mean, there are a lot of cool apps that you and I both know of that launched five, six years ago that were amazing, that people used that - that no one uses anymore, that are just gone. And there are lots of people who work really hard, who are really creative, who are really smart, have amazing ideas and put out a really cool product. So why - why do you think Instagram survived and thrived? SYSTROM: I think there was this opportunity that we spoke of that - back in the day - that people had cameras in their pockets with them for the first time ever. And digital photography was clearly going to be a thing. But the second a camera got added to the phone, it meant you had it with you at all times. And that doesn't mean that you're going to take photos on it. Obviously the quality has to be high enough. But we started the company right at the moment where, like, the quality of those cameras just kind of met up with point-and-shoots. And because of that, everyone started taking photos on their phone, but they had no place to put them. Or if they did, it was hard. I mean, they would look at Facebook, and they'd be like, well, you know, like, I have to upload them, like, on the desktop. Or on Twitter, like, it doesn't really show on the timeline. So they had this problem - like, there's no place to easily share all these photos that I'm taking all the time. And we just happened to be the right tool for that job at the right moment. And we created - I believe the thing that kept it growing was we created an open network. We sat down very early on in the product-design process and asked ourselves, OK, do we want to be a place where you send a friend request and you have to accept it in order to see those photos, or do we want to be open, where anyone can follow anyone? And I'm so glad we ended up choosing the open model because now you can follow someone from Japan. You can follow, you know, a chef from New York City. You can follow your favorite celebrity, or you can follow your friends. And that, like, hadn't really been done before in photos. If you look at every photo service before then, it was basically a closed-only, friends-only network. And we were the first ones to really open that up. RAZ: You know, there was a moment in my other radio show, the TED Radio Hour, where I think we all realized how big the show became when Pink, the pop singer, tweeted about the show. We were like, holy - she - like, she's listening to the show. RAZ: Did you guys have a moment where you were like, Jesus, like, they're using this thing that we built in, like, our basement? KRIEGER: I think, for me, the biggest one was the White House or Obama - I think it was Obama joined first, and I think it was part of the campaign that he was running. And I remember, like, the president of the United States, like, knows what Instagram is and knows how to use it? And I remember, you know, every - you know, every time somebody's using our app and I either see or hear about them, I'm like, I hope it doesn't crash. I hope it works perfectly, and I hope they, like, don't have any questions that keep them from using it. So that was, I think, a big inflection moment. And I think the other one was I noticed that the New York Times, when they would cover us, had stopped saying Instagram, comma, the photo-sharing app, and then it was just Instagram. I'm like, oh, we are - we have now reached the point where they can assume that most of their readers know what we are. RAZ: I am - I am old enough to remember when NPR said - would say Google, the search engine. SYSTROM: Yeah. And, for me - so I feel embarrassed because you had a really good example about, like, the president using. For me, it was like - our first celebrity was Snoop Dog. Do you remember Snoop Dog signing up? And then we were like, is this actually Snoop Dog? And then I got an email that was like, Snoop Dogg's people want to meet you guys. And I was like, oh, my gosh. I don't even know. What does it mean - people? Like, Snoop Dogg has people? And I remember Justin Bieber signing up and the world going kind of bonkers for that as well. And by world I mean teenage girls. And they basically started using the app incessantly, and it kind of took off with, like, a bunch of really young people as well. RAZ: Yeah. You - obviously, everybody knows that, eventually, you sold Instagram to Facebook for a billion dollars. I mean, it's just incredible that two years after you create this thing that happens. You couldn't have planned for that. You couldn't have. That couldn't even have been an ambition. SYSTROM: Yeah. I mean, the first day that we went home after pulling that all-nighter to launch Instagram, there was a guy sitting on the Muni here in San Francisco, which is the subway system, and he was using Instagram. And I was like, oh, my god. Like, we did it. Like, someone in the world is using this thing out in the wild. That feeling in that moment is the currency that you maximize when you're an entrepreneur. It's like seeing someone using your product and loving it is, like, way more rewarding than any amount of money in the world. RAZ: You guys now are within the Facebook family, right? I mean, you're an independent company, but you are part of Facebook. How does that change the way you operate? Obviously you're a lot bigger. SYSTROM: Yeah. Initially, that was actually pretty awesome because we had all these problems scaling our services. And, like, the Facebook infrastructure team would come over and be like, oh, yeah, we've seen that before. Here, this is what you do. So it made our lives actually a lot better. And we were able to hire some of the best people in the world and share talent. KRIEGER: I like to call ourselves the older brother or the older sibling, where we're the - we were the first company that Facebook acquired and sort of kept running. And then since then, you've seen oculus and WhatsApp. And I think there were a lot of things that we figured out early on in terms of the relationship - the office space, hiring. And I think we all, from both sides of the table, approached it from a spirit of, hey, how can we make Instagram better through these integrations rather than how can you make Instagram more like Facebook, you know, or try to adapt it to be exactly the same? RAZ: There was this - like, this controversy that happened with Instagram where you changed your terms of service and people were under the impression that their photos were - were going to, like, be your property. And a lot of people, like, left Instagram at that moment. Presumably, that - I mean, that's - that was a learning lesson for you - for you guys. SYSTROM: Huge lesson. Number one, people read the docs that, you know, you put out, and you should care about them as a founder. So your terms of service - basically what happened - we had these terms of service that we had, I think, effectively copied from some other site way back in the day and just find and replace their name with Instagram because we were a startup, and we didn't know what we were doing. But we eventually got to a place where, when we joined Facebook, Facebook was like, hey, you actually need a real one that, like, fits with the way you guys work, and we're going to make all these changes. And we went through it, and I was like, OK, great, this makes sense. And I didn't really read it all that carefully. And one of the sections, reading it again today, if I look at it, can be interpreted that we were going to take user photos and somehow use them in advertising. That was definitely not our intention. And, like, no one in the company had even thought of that idea. It just - if you read the sentence that way, you could see that maybe it would worry people. So immediately, you know, we had this big protest and people were, you know, leaving the service. I mean, we have a graph of account deletions at that time, and it was skyrocketing. And Mike and I sat down and we're like, what do we do? And - and we felt helpless. I mean, it was, like, all over - it was that first day all over again. It's like, we've screwed this up. How do we make sure people know? And I went back in my head. I was like, why don't we just apologize and say we're wrong? And I posted this long post on our blog. You can probably still find it online. And I was like, we're sorry. Like, we didn't mean this. That's absolutely not what we're trying to do. And we tweeted about it. And actually, the graph of deletions, at that moment, drops to zero. And sometimes you just have to say sorry. Sometimes you just have to say you were wrong and re-assert what you're actually trying to do. And that interaction with the community still sticks in my mind as something that we try to do every single day, which is to be really transparent with people, put our community first because, like, at the end of the day, without them, we're a photo-sharing app. RAZ: How much of what happened to you guys, to Instagram and this whole story, how much of it was luck? SYSTROM: I'd say 50 percent. Actually, I have this thesis that the world runs on luck. The question is what you do with it. Everyone gets lucky for some amount in their life. And the question is, are you - are you alert enough to know you're being lucky or you're becoming lucky? Are you talented enough to take that advantage and run with it? And do you have enough grit? Do you have enough, like, resilience to stay with it when it gets hard, because everyone gets lucky in minimal ways every week. I mean, you find a dollar on the ground or, you know, you get a break at work to work on a cool project, or you meet someone really interesting. The difference between people, I think, who succeed in the long run and the people who don't is, frankly, that optimism that, like, you got lucky, and now it's yours to - yours to make awesome. And that first day, I think, we got lucky by having the right ideas at the right time in the right place, and we were lucky to have met each other. I mean, there were a lot of co-founding pairs in tech who have not worked out, and Mike and I are, like, great friends - at least I think so. Right, Mike? SYSTROM: And the question is, can you take that luck and capitalize on it? RAZ: Hey, thanks for listening to the show this week. If you want to find out more or listen to previous episodes, you can go to howibuiltthis.npr.org. And if you have a chance, please subscribe to our show through iTunes and let other people know about it. You can also write us directly at hibt@npr.org or tweet us. That's @HowIBuiltThis. Our show was produced this week by Ramtin Arablouei, who also composed the music. Thanks also to Neva Grant, Sanaz Meshkinpour, and Jeff Rogers. 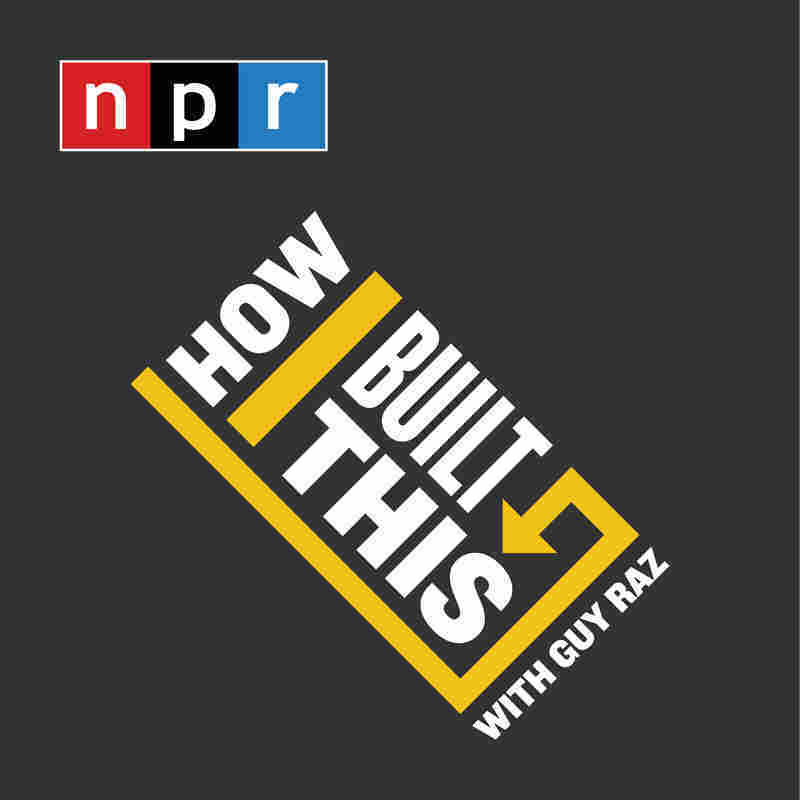 I'm Guy Raz, and you've been listening to HOW I BUILT THIS from NPR. RAZ: Hey, thanks again for listening to HOW I BUILT THIS. Here in the U.S., Monday, September 26, is the very first presidential debate. And the next morning, the NPR Politics Podcast is inviting you to skip the cable news hangover and get caught up with them. They'll have new podcast episodes the morning after every debate, so you'll know what happened and what it means by the time you get to work or class or finish walking the dog. So whatever your morning routine, make the NPR Politics Podcast a part of it the morning after every debate. Subscribe or listen on the NPR One app. Thanks.